Several people have mentioned Shinrin-yoku or "forest bathing" to us recently. Shinrin-yoku is the practice of spending time in nature as a way to improve one's mental and physical health. Unsurprisingly, we love this idea. We care for our forest in part out of a belief that having trees up on this hill benefits the people around us as much as it benefits the wildlife. We tend to talk about water retention and carbon sequestration, but this is a nice reminder that the advantages are visceral and personal, too. Studies show that spending time outdoors can reduce blood pressure, relieve stress and improve sleep. Anecdotally, I try to take a deep breath of Zena forest air once a day. When I do, I can feel my stress wash away. 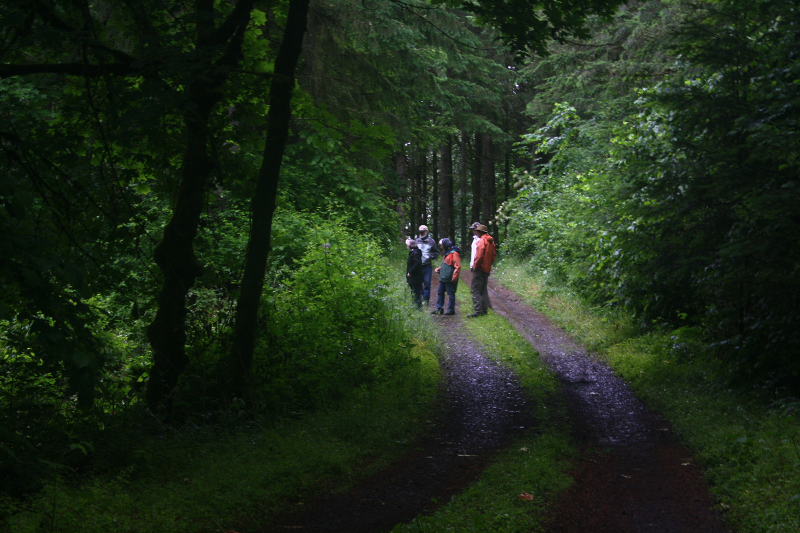 Fortunately, you don't have to work in an FSC-certified forest to practice forest bathing. A walk in a park can be as good. Some say just breathing the air near a tree has similar results. Read more on Shinrin-Yoku.org, the New York Times or OPB.